Posted on February 7, 2015 February 4, 2015 by catherinedaze	This entry was posted in dressmaking, Guy Laroche jacket, pressing, sewing, Silver, Techniques, thread, vogue and tagged dressmaking, guy laroche, sewing, silver, vogue. Bookmark the permalink. We all love the details! thanks for showing them! 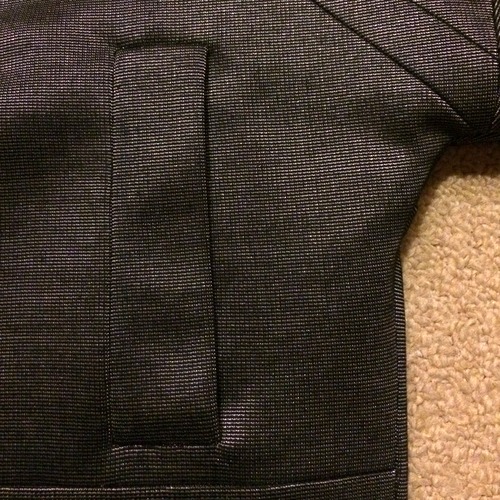 Ooh your welt pockets look beautiful! There is nothing more frustrating than having fabric change size when you iron it. I was making a dress once that kept getting bigger every time I went to press it because the fabric kept stretching! Your top is really cool and impeccably made. Can’t wait to see what you do next! Gorgeous details! Meant to comment on your last post about this jacket, I absolutely love what you’ve done with it. Makes me want a science fiction sweatshirt of my own. Great details! 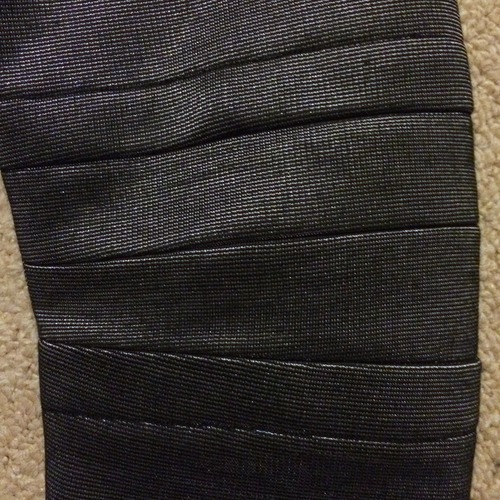 I think with very fine stripe, no-one but the person who does the sewing is aware of small discrepancies, it certainly looks perfect on my screen. Detailing. This photos show the great detailing you do. I love looking at these details. They all look spot on. 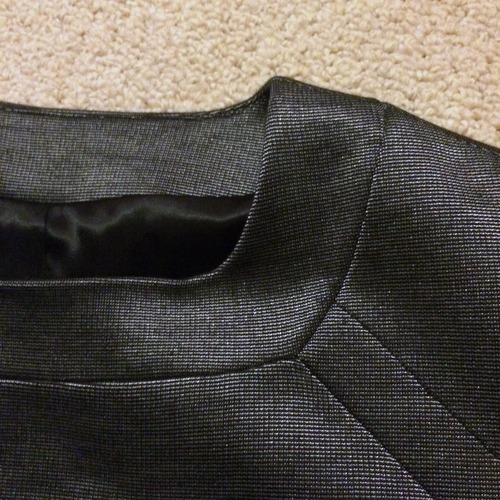 Really cool to see the details close up – the sleeve bands look like armour in the metallic fabric.